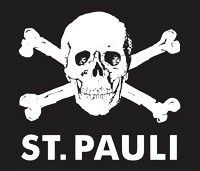 Today was the big football match between FC St. Pauli and HSV – both teams from Hamburg. The stadium not far from my flat and I forgot to buy some food yesterday. So the easiest solution – I ordered online a Pizza. After 1,5h hours waiting without Pizza but a lot of football fans in front of my windows which tried to kill one another I called the pizza service. Problem was – the area was closed by the police and it was not possible to deliver anything… Year, I went down and had a Burrito in the restaurant in my house. First time that I was in closed district. Maybe not my day, tried also to order a new lense but right now I’m not realy sure if I managed it or not. So waiting for an answer of the shop. 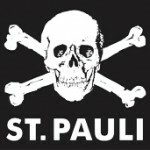 This entry was posted on Sunday, September 19th, 2010 at 7:07 pm	and is filed under Europe. You can follow any responses to this entry through the RSS 2.0 feed. You can leave a response, or trackback from your own site.